See these hints and recommendations to find a holiday rental that meets your needs or preferences. One of your major preoccupations may well be be the suitability of the holiday venue for the children, and it's true to say that, for self-catering holidays in particularly, if the rental is well adapted to welcoming babies, toddlers and young children the adults will have a more relaxing holiday. You will find that many holiday property owners now take care to provide good facilities, but make sure that you check in the holiday property description or enquire about this subject to avoid being caught out without a cot... If you have a particular worry or phobia (streams or ponds or steep stairs for example) then it makes sense to ask the question before you book. We have a full article on this subject. Holiday accommodation with a good range of baby equipment provided is a real bonus. If you are looking at fly-drive it's essential. These days, a cot and a high chair are usually provided but you can also find holiday homes offering changing mat, bottle warmer, push-chair, baby bath, etc. For toddlers you may find a booster seat for the dining chairs, a toilet seat reducer, a selection of kiddies DVD’s, etc. On the Vendee-Gites holiday rental web site each Vendee rental property description has a useful list of the equipment supplied for babies and toddlers. Guests rate these holiday cottages near Lucon as being particularly child friendly - the whole site is fenced, plus play houses, covered games room, sand-pit, large heated pool, etc. 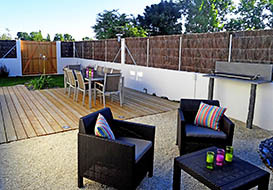 Two charming holiday cottages with heated fenced pool. Large safe grounds. Facilities for children. Rural location with easy access to the coast. 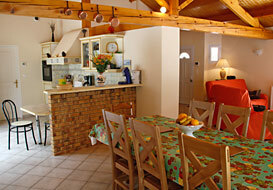 These cottages offer a good range of facilities for children of all ages together with vast grounds. Endless playing space, games room, ponies. Only a short drive to the beach. Three character cottages (sleeping 6, 6 & 8), each with it's own outside space and sharing vast grounds and a large fenced heated pool. Rural location very near the coast. 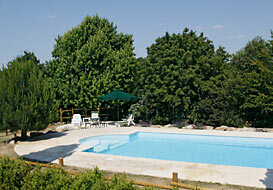 Gites with fenced terrace area and pool fence offering additional peace of mind with young children. Good range of baby equipment. 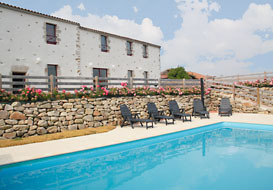 Two well equipped cottages (sleeeping 6 and 8) sharing a heated fenced pool. Village location 30 minutes from the coast, 5 minutes from town amenities. 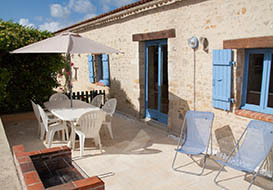 Child friendly cottages in France - A selection of child friendly properties throughout France. 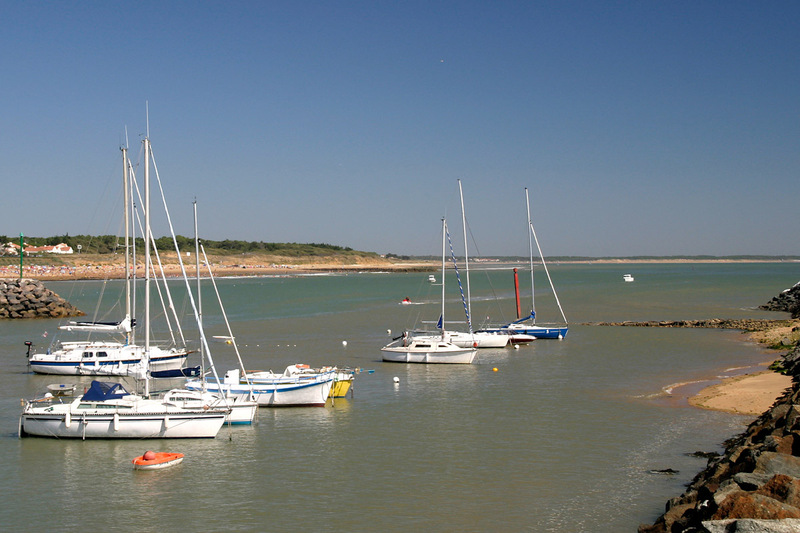 The Vendee is a prime destination for holidaymakers from all over Europe, attracted by the superb coastline. 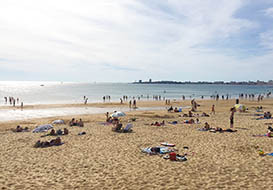 The Vendee has some of the best beaches in France with styles to suit everyone, from rocky cliffs and secluded coves to vast beaches of fine sand stretching for miles. There are numerous surfing spots and plenty of water sports facilities, but for families with children the fact that many of the beaches are surveyed by lifeguards is a reassuring bonus. The Vendee beaches are renowned for their cleanliness, both in the water quality and on the beaches themselves. The coastline has been protected from sprawling development by rigorous planning laws, leaving mostly unspoilt stretches between the major coastal towns. In many places the beaches back onto wild dunes and pine forests or salt marshes abounding with birdlife. 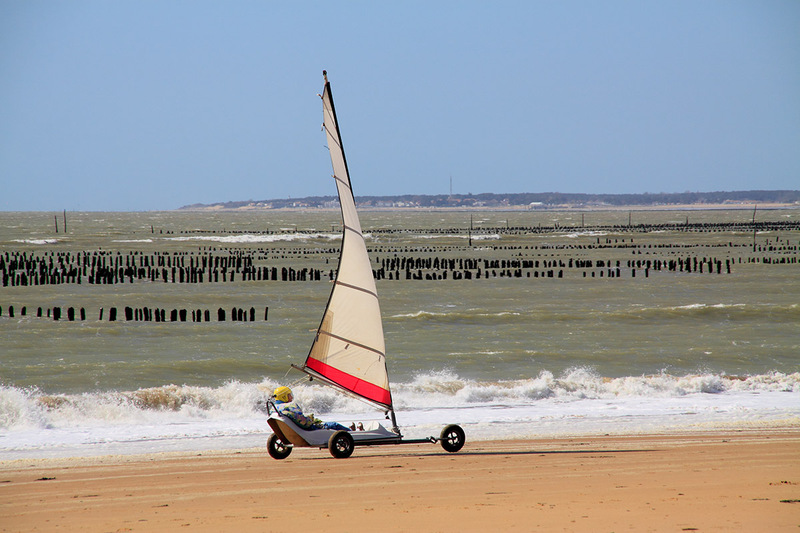 See the links below for reviews of the best Vendee beaches. 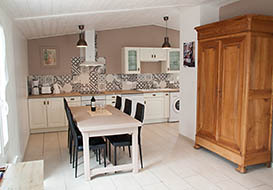 Finding a self catering holiday property on the Vendee coast can be a difficult task. 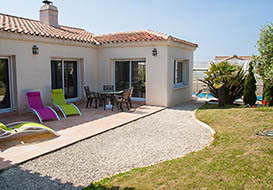 People often ask why our sister site Vendee-Gites does not show more villas and houses right on the coast. The reason is simple; on the coast, to find a property with the necessary quality, in a reasonably quiet spot, with reliable caretaking and at a reasonable price, you have to look hard and make careful selections. Once you get off the few kilometres of coastal strip there are more quality holiday properties to choose from at reasonable prices. Families often find that to go to the beach with all the kiddies stuff you end up getting in the car, so travelling in the car 1km or 10km to the beach makes little real difference. 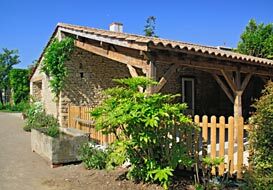 Renting a rural cottage near the Vendee coast, away from the bustle, is a very enjoyable alternative. In a nice village near the coastal town of La Tranche sur Mer. On the coast at Longeville sur Mer, cycling distance to the village and the nearest beach. Spacious villa on the coast with private heated pool. Beach, village shops, bar, restaurant all within cycling distance. Town location, close to amenities and beach, on the coast at Notre Dame de Monts. 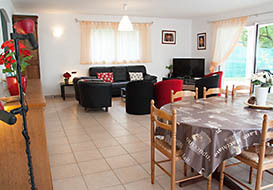 Close to amenities and beach, activities on site, on the coast near Les Sables d'Olonne. Perfect for families with children. Everything close by for this lovely sea front house in Les Sables d'Olonne. Attractive villa next to the beach, with a sea view, just outside the lively coastal resort. Cycling distance to all town amenities. Confortable modern interior and well equipped. 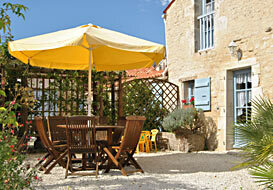 The Vendee offers some really authentic rural country areas and a taste of real France for your holiday. You can choose between the rolling wooded hills of the north Vendee Bocage the sleepy canals of Green Venice or the dramatic open spaces of the south Vendee fens. 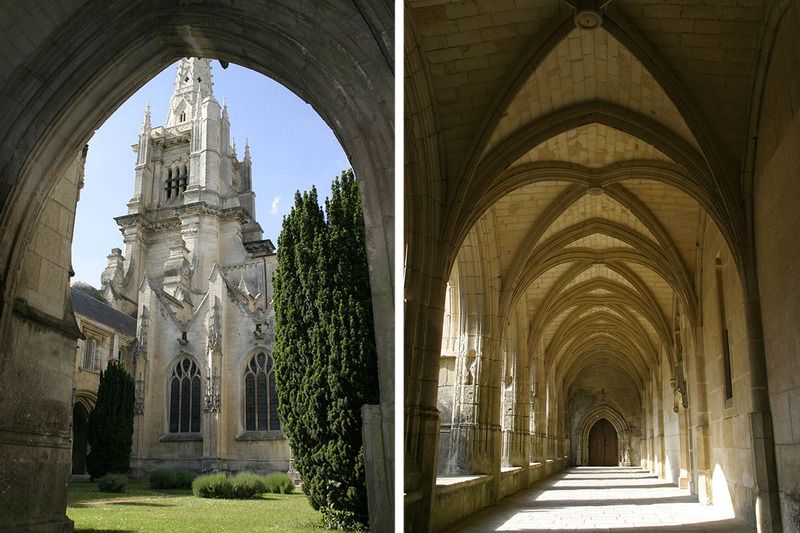 This varied countryside abounds with charming villages, so typical of rural France, and there are many interesting historic sites to visit in the Vendee. 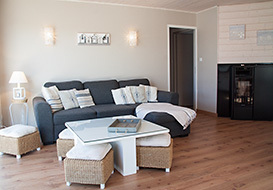 The main attraction for this style of holiday is undoubtedly the peace and quiet - your own authentic holiday home, to rest and recover, away from the bustle of everyday life. Access to near amenities often takes second place, but in the Vendee you are never too far from the local village or the nearby town for shops and restaurants. 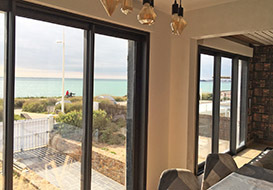 Depending on your priorities, a holiday cottage or farmhouse in eastern Vendee will still allow you to get to the coast for days out - particularly now that the A87 motorway has been extended from north-east Vendee right down to the coastal resort of Les Sables d'Olonne. This makes the eastern Vendee well worth considering for your rural holiday haven as it offers a very wide choice of holiday attractions, festivals and events. From Les Herbiers to the coast at Les Sables d'Olonne is just 55 minutes. From the north of the Vendee you are within striking distance of the chateaux and vineyards of the Loire valley - Les Herbiers to Angers 59 minutes, Saumur 1hr 18, or Nantes, 53 minutes. In a rural hamlet, near to the town of Chantonnay. Ideally situated for visiting the history theme park Le Puy du Fou and for day trips to the Vendee coast. Spacious traditional farmhouse sleeping 8/9. 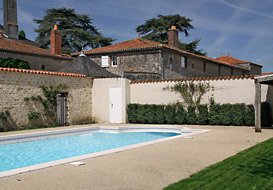 Lovely heated pool in a separate walled area. Set in a quiet rural hamlet within easy reach of town amenities. 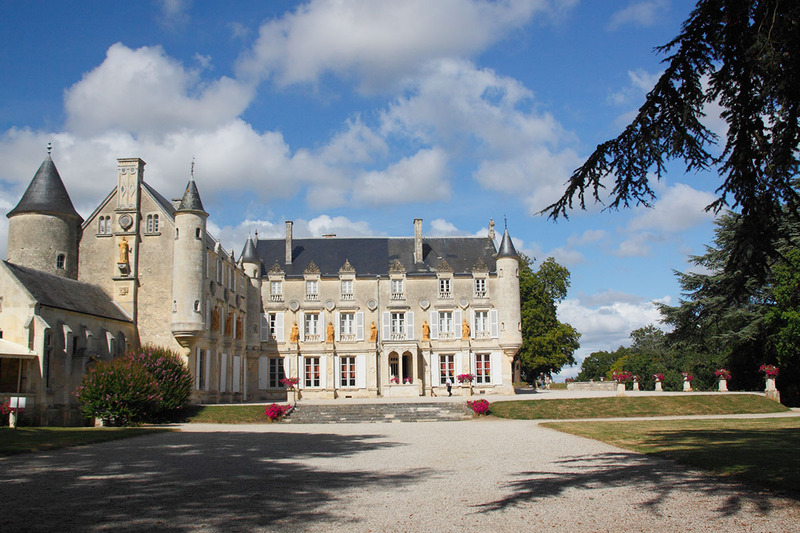 Steeped in history, this Vendee logis is in the grounds of a chateau that has been in the same family since the 17th century. Lovely country setting. Very authentic historic village setting for this charming cottage. Authentic character cottage with a shared pool and large grounds. Perfect for couples and small families. In a rural location, near to town amenities. 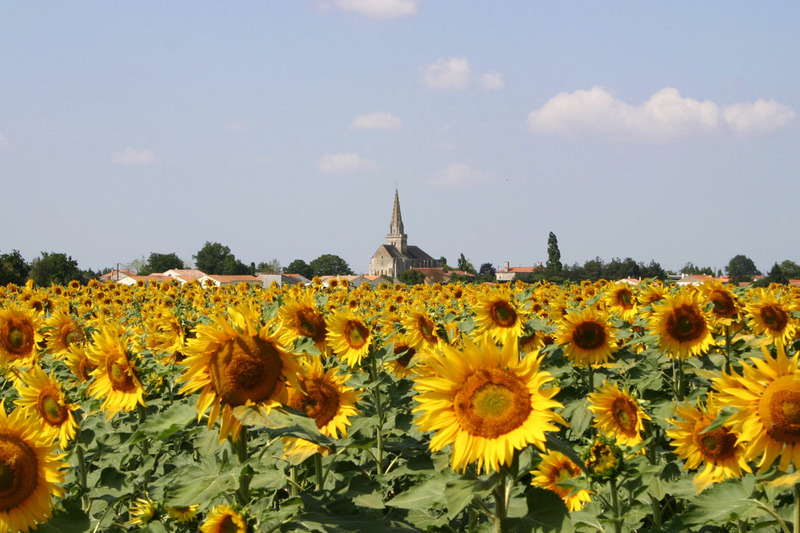 Directory of web sites of Vendee towns and villages- site in French. 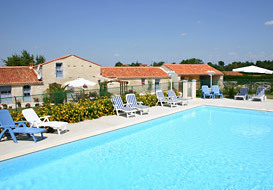 For many people seeking a holiday venue in France a swimming pool is a must. This is certainly true for families with children as nothing keeps the children amused more than a pool. 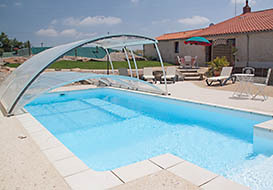 More and more self catering holiday properties in France have a swimming pool these days, as a response to the increasing demand, particularly those in areas a little further from the coast. You will inevitably pay more for a holiday property with a pool, but you can get good value by choosing a cottage or gite with a pool that is shared between 2 or 3 properties as these are often better priced. 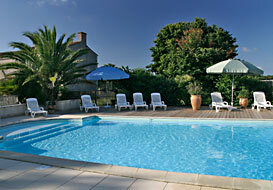 The Vendee offers a good choice of holiday properties with pools and these days most pools are child friendly. Is the pool heated or not? What child-safety system is installed? Is the pool shared, and with how many? Is it a “real” sunken pool or an above-ground type? Is it salt water treatment or conventional chlorine? See our swimming pool article for full discussions of these questions. There are several approved child-safety systems for swimming pools in France and there is a legal requirement to have one of them installed with the aim of protecting children up to 5 years old. In reality, the majority of pool accidents involve older children in boisterous games or diving into shallow water, but pool safety equipment certainly offer peace of mind with toddlers. None of them can really replace your own vigilance… so take care. 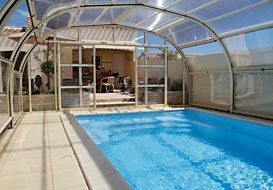 This Vendee villa has a pool with a sliding glazed enclosure. Once latched into place it is completely child-proof and also allows bathing in cooler weather. 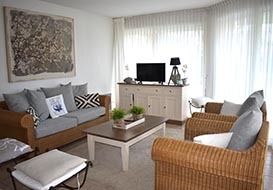 Modern holiday villa in a coastal location for up to 6 people. Swimming pool with full enclosure - allows bathing in cooler weather - ideal for early and late season breaks. This superb coastal villa has its own private pool, set in an attractive terrace area. The pool is equipped with a safety cover. Spacious holiday villa on the coast, outskirts of a charming resort town. Cycling distance to the beach and town amenities. Confortable modern interior. This delightful Vendee farmhouse has a pool which is fully enclosed with a fence and child-proof gate for peace of mind. Character farmhouse sleeping 8 with a fenced pool. 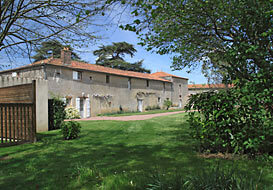 Situated in attractive countryside, on the outskirts of town, within easy reach of the Vendee coast. 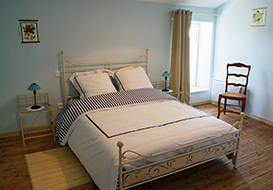 Finding accommodation for a large group can be difficult as suitable properties are somewhat rarer - you will find plenty of holiday cottages in the Vendee for 6 or 8 people, but fewer for 10 and even fewer for 12 or more. However there are establishments offering several cottages near to each other or in the same grounds and these can be ideal, particularly if you prefer not to be together all the time... Arranging to be able to all eat together needs looking at, but in the summer months just moving a few outside tables and chairs will usually suffice. Some "gite complexes" have function rooms which cover this aspect as well as often offering better leisure facilities, a games room, etc. Whilst the price of a large house or the combined price of two or more cottages can look daunting, if you work out the price per person it's usually very reasonable and certainly nothing like the hefty amount for equivalent hotel accommodation. 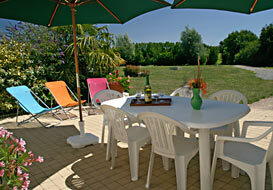 The Vendee can offer great value self catering holiday rentals for large groups. 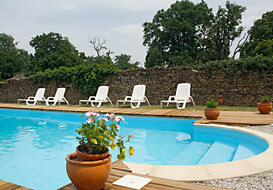 Character rural house with pool, lovely views over the countryside, sleeping 10 in 5 bedrooms. 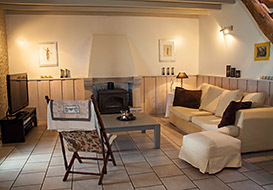 Character farmhouse sleeping up to 10 people, private heated pool. Superb view over the countryside. Edge of village with bar/restaurant/shop. Large grounds. 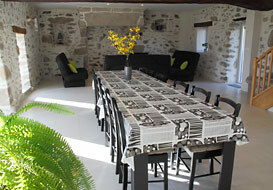 Large rural farmhouse for 12, private pool, within easy reach of the Vendee coast. 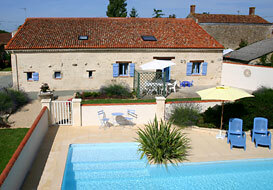 Large farmhouse with 6 bedrooms (4 en-suite) sleeping 12 people, private heated pool. 3 miles from village amenities, 22 miles from the coast. Grand Gites - Vendee- site in French. June and September are great value. 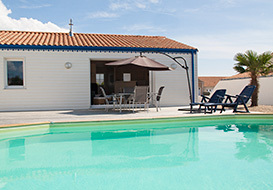 If you have flexibility in your holiday dates or you are looking for a short break other than a traditional summer holiday you can find low cost accommodation in the Vendee. 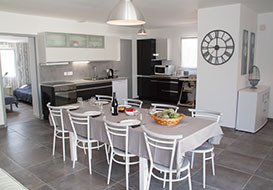 For self catering holidays in France, the peak season dates covering the school holiday period are inevitably more expensive than other dates. Moving your holiday to June or September can offer substantial savings on the holiday rental price and also on the cross-channel ferries. You also benefit from less crowds and can still enjoy good weather (June can be more reliable weather than August...). Take advantage of reduced prices for low occupancy. 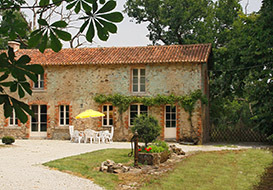 Some French holiday cottages, gites and villas offer reduced rates for low occupancy, particularly outside the peak season, allowing couples, families of 3 or 4 or small groups to afford a larger property with more space. In some cases the holiday property is modulable, with different numbers of bedrooms being made available and priced accordingly. 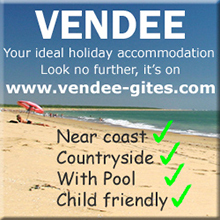 Vendee-Gites has a range of holiday properties offering discount prices for small groups. Start on a Friday or take 5 or 10 nights. Whilst most self catering accommodation is let Saturday to Saturday you will find a few which base their season calendar on Friday to Friday. You can often find cheaper ferries to coincide with these days and more choice in the ferry availability. It's difficult for a holiday property owner to offer flexibility in the start and end day as this leads to gaps between rentals and missed full-week bookings - this is why 10 day stays are hard to find. However outside the main part of the season (June, July, August) some holiday property owners will offer flexibility or will take bookings for 5 days or 10 days. The price is usually a little over the pro-rata of the weekly rental price, but still offers savings on your holiday budget. 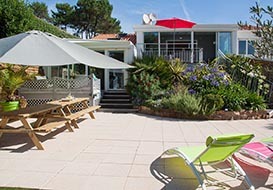 June and September 7 night breaks on the Vendee coast from just 530 Euros. 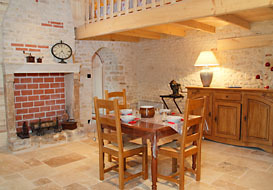 Cosy cottage, ideal for couples. Just a mile and a half from the town centre of St Jean de Monts for restaurants and night-life. Lovely beaches nearby. Great value for couples. 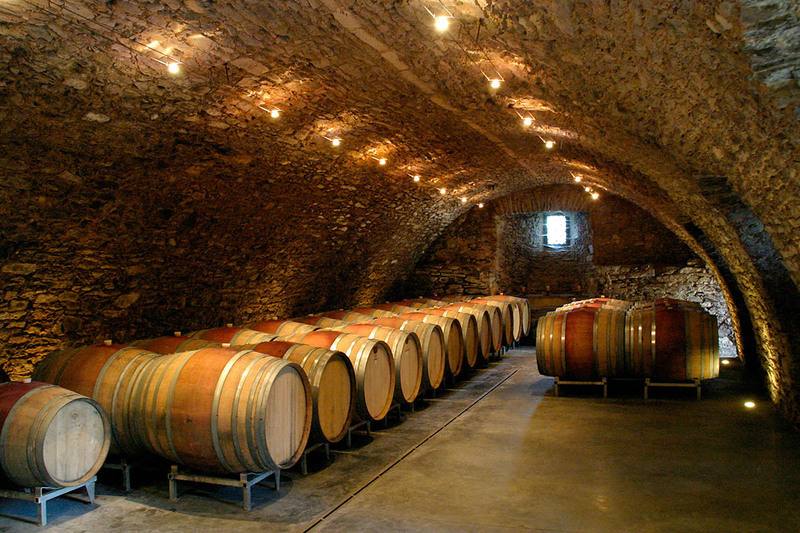 A June or September 7 night break from only 525 Euros. 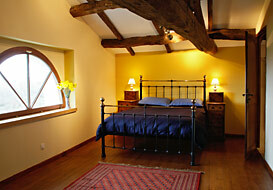 Character holiday cottage in a rural location for up to 4 people. Swimming pool with full enclosure - allows bathing in cooler weather - ideal for early and late season breaks. The Vendee is an area of France that benefits from a good selection of golf courses. Golf experts do say that in general in France the greens are not up to the pristine standard that you expect in the UK, but the golf courses offer well designed layouts and plenty of novelty value. You can buy a golf pass "Formule Golf" for several of the Vendee golf courses at reasonable prices. Golf des Fontenelles, near Coëx, 85220 L'Aiguillon-sur-Vie. 6775 yards, 18 holes, par 72. Designed Yves Bureau, this course offers a good driving range. The course takes you through a succession of water features amongst pines and oak forest. Practice ground with 25 places (10 undercover), 2 putting greens, fairway. 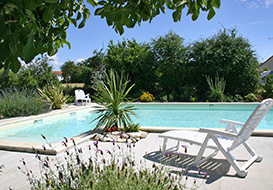 Villa with pool, only 10 miles from Les Fontanelles (and 12 miles from St Jean de Monts). Charming villa with private pool. Country location with village amenities within cycling distance. Only 7 miles from the coast. Golf de Port-Bourgenay, 85440 Talmont-St-Hilaire. 6392 yards 18 hole, par 72, pitch and put. Designed by P.Thevenin, this course overlooks the sea and the marina at Port Bourgenay. Covering 85 hectares, the course has pine forest and hedgerows. Practice Grounds (open and under cover). Putting green. Fairway. Golf de la Domangere, 85310 Nesmy, near La Roche-sur-Yon. 7085 yds 18 hole, par 72. This course, designed by M.Gayon, has a good variety of interesting shots ideal for those looking for new challenges. Practice facilities, practice ground (8 under cover), 4 compact holes, fairway. 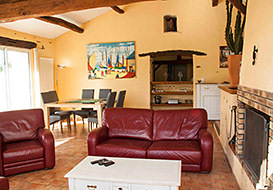 Rural location, 20 minutes from the golf at La Domangere. Golf de St-Jean-de-Monts, 85160 St-Jean-de-Monts. 18 hole. This course is styled on a traditional Scottish links course and was designed by Yves Bureau. Often rated as one of the best courses in western France. Undulating fairways ideal for technical golfers. 9 holes winding through a pine forest and 9 holes close to the beach with sea views. Practice green. 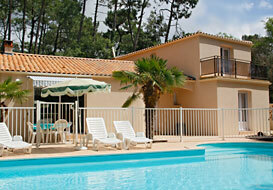 Superb villa, 10 minutes from the golf at St Jean de Monts. Golf des Olonnes, Pierre-Levee, 85340 Olonne-sur-Mer. 18 holes. This course has plenty of character, with vast greens and several water obstacles. Suits all levels of players. 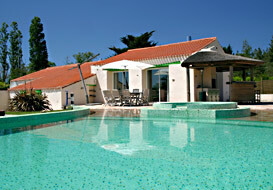 Villa on the coast, 10 minutes from the Olonne sur Mer golf course. Large villa in two parts, ideal for two families. Private pool Cycling distance to the beaches and amenities of this charming resort town. The Vendee offers many possibilities for both keen freshwater fishermen and beginners with its many rivers, lakes and canals. Sea fishing trips can be found all along the coast in the major resort towns and fishing off the beach is allowed in most places (you don't need a permit for this). There are also a few purpose-made fishing lakes, for trout etc - look for signs for "peche a la truite". Further afield there is the fishing park "Pescalis" at Moncoutant which is just over the border to the east in Deux-Sevres (see the link below). What can you catch ? In lakes and rivers and canals in the Vendee - bream, carp, pike, zander, perch, roach, chub, tench, eeels, catfish. In the sea - bass, mackerel, skate, conger, sea bream. What permit do you need ? For freshwater fishing, a holiday fishing permit is available at tourist offices, tackle shops and some bar/tabaconists. Ask for a "carte peche-vacances". It costs about 30 Euros and is valid for any 15 day period within the summer fishing season (usually early June to end of September). You can fish anywhere which has public access (river banks, tow-paths, etc) unless there is a sign saying otherwise eg: "Peche Interdite" (No fishing), "Peche Reservee" or "Prive" (Private). Where to get bait ? Many large supermarkets have a fridge with bait - look for the fishing tackle section which is usually near the DIY and gardening. There are also specialist tackle shops in many major towns - ask a local for a "magasin d'articles de peche". For more information, see Rob Busby's article on fishing in the Vendee (thanks to Angela Bird for this). This holiday cottage is on the river bank. You can fish over the fence from the garden! Charming cottage in a riverside setting. Cycling distance to village shops and bar/restaurant. Large fenced garden and private heated pool. Pecalis fishing centre - make the fishing a family day out. See our gallery of Vendee photos. 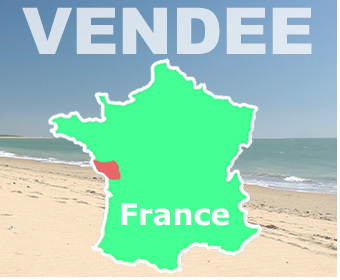 The Vendee Guide - Excellent Vendee information site. Three and four-bedroom quality villas with private pools on a select well-established gated residence close to Les Sables d'Olonne.